The name calendula is of Latin origin, and it means “little clock”, “little calendar” or even “little-weather glass” though it is believed to have originated from Egypt. It is known by many names of which the most common is marigold. One can find other names for it, like garden marigold, gold bloom, pot marigold, marybud, holliold. It became very popular because of its bright gold flowers that were inevitable during the festivals that celebrate the Virgin Mary. For centuries, calendula was widely cultivated for its health benefits, while many used this flower for colouring and flavouring of food. 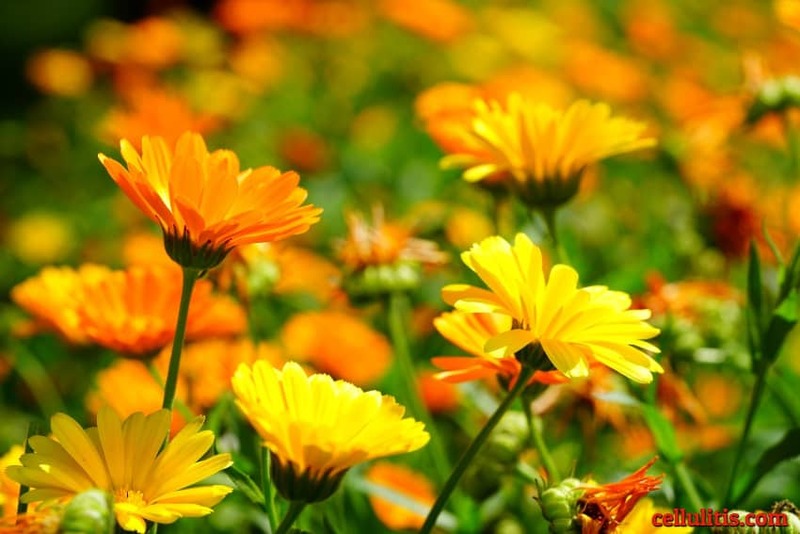 Well-known to folk medicine, calendula was obligatory for treating fever and skin wounds. This extraordinary plant belongs to the daisy family Asteraceae, and is annual and perennial herbaceous plant. Calendula is a low-growing plant that grows 12 to 20 inches tall with many usually orange and yellow flower heads. The leaves and stems of calendula are hairy, sticky, and rough to touch. It is a famous garden flower in Eastern Europe and Latin America. Although very known for its yellow and orange flower heads, one can also find marigolds with subtle pink and cream varieties in Europe. This flower is also highly valued as a healing medicine throughout the world. Marigold plant has anti-fungal, antiviral, and antibacterial characteristics as well as sedative and anti-ulcer activity. Due to the calendulozide B. Moreover, this herbal plant helps stimulate the production of collagen. In modern medicine, calendula has a prominent place in treatments where is necessary to stimulate blood circulation and sweating. It is also believed that calendula helps fighting cancer though it is not scientifically proved. This plant can be taken in different forms: tincture form, oil and ointment and herbal tea bags. Calendula in tincture form is very famous in the treatment of fever and flu and is used to help relieve pains, especially menstrual. 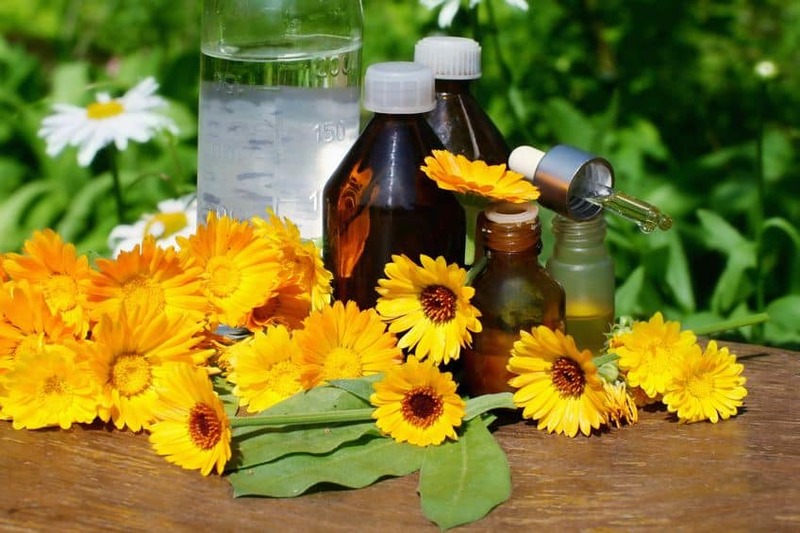 Calendula oil is used to treat ear infection, pain, diaper rash and for athlete’s foot. Ointment is famous for treating scorpion and bee stings, skin rashes from measles and chickenpox, and eczema. Calendula tea is used to detoxify the body and to help strengthen the immune system. Very popular natural remedy for eye soars, sore throat and inflammations in the mouth, tea is also very valuable in the treatment of digestive inflammation and gastric or duodenal ulcers. Calendula is very efficient in normalizing menstruation cycle and in treating menopausal symptoms and gall-bladder problems. Cellulitis is very common bacterial infection of the skin, and has severe symptoms if not treated properly and on time. Modern medicine recommends treatment with antibiotics, but natural remedies are becoming more and more popular in this kind of infection. The very first and most popular usage of the Calendula plant was related to skin injuries and infections. 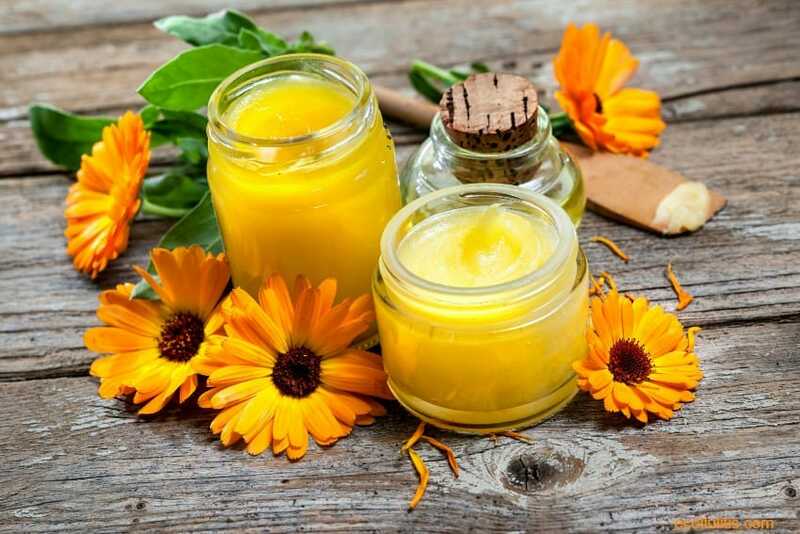 Calendula is effective and lucrative when treating this skin infection because it increases the blood flow to the affected area. Ointment, creams and calendula tea are all listed as natural medicine against cellulitis. Creams and ointment can be applied topically on the infected area to reduce the inflammation and it is recommended to be used up to three or four times per day. As for the treatment with calendula tea, you can soak a cotton cloth in the tea and apply this on the area of inflammation. Boil a tablespoon of dried calendula flowers for a cup of water. When the water is boiling, remove it from the heat and wait 10 minutes. Cool it before applying on the infected area.